A significant new property initiative is being planned by Govan Workspace that will enhance Govanâ€™s status as an attractive location for enterprise. 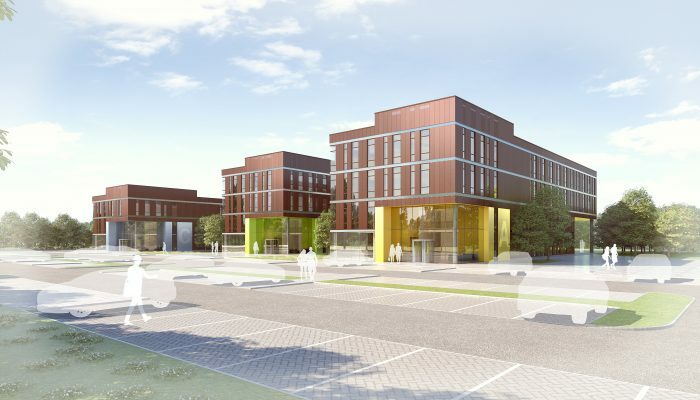 The company is seeking to transform a derelict 5-acre site, close to the newly opened Queen Elizabeth University Hospital, into a state-of-the-art business campus offering high-specification business spaces to firms who want to be close to what is one of the largest health care sites in Europe. The new business units are also likely to interest existing local firms who are looking to expand but do not want to leave the area. There is currently a shortage of high-quality business space in Govan. When completed, the 10-year-long development will provide 134,000 square feet of commercial space accommodating around 70 firms and generating more than 500 jobs for the local economy.